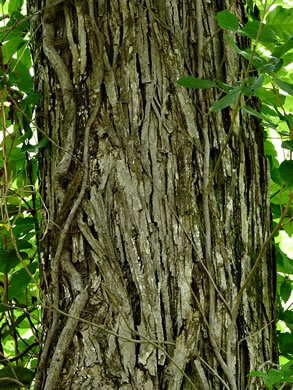 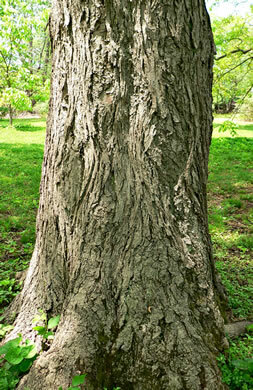 Bark gray, scaly, with long strap-like plates, per Woody Plants of the Blue Ridge. 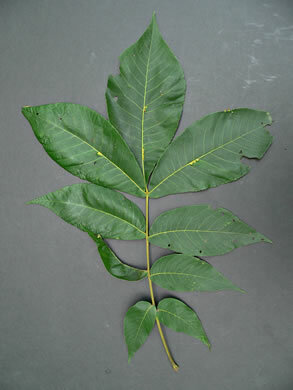 Leaf rachises may persist on twig into winter, per Woody Plants of the Blue Ridge. 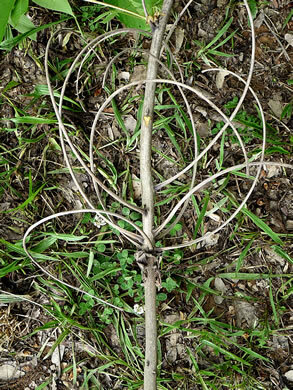 Twigs sandy, buff, or orange-brown; terminal bud abruptly tapered, per Woody Plants of the Southeastern US: A Winter Guide. 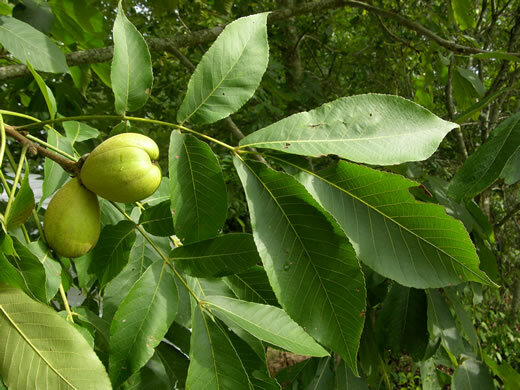 Leaflets 7 (usually) to 9, lance-shaped to obovate, margins finely serrate, per Native Trees of the Southeast, An Identification Guide. 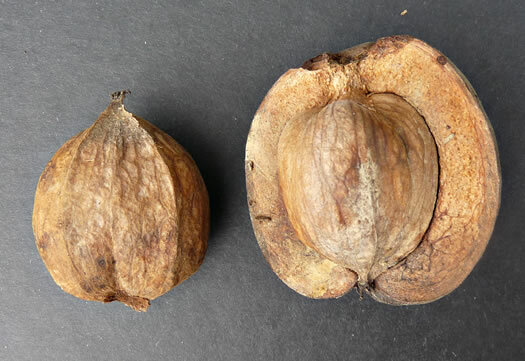 Husks about 1/4" thick, lacking wings; seeds edible and sweet, per Native Trees of the Southeast, An Identification Guide. 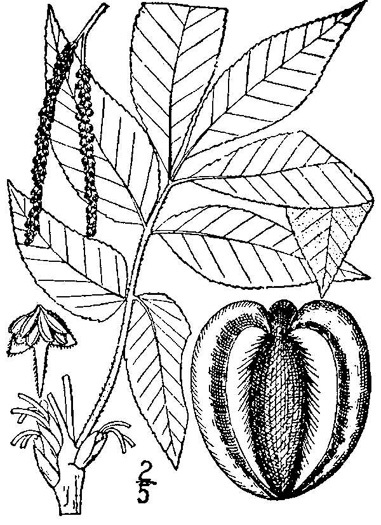 Fruits the largest of the genus (to 8cm long!). 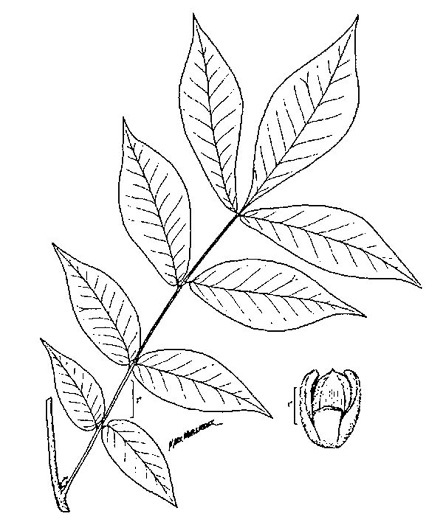 Husks 8-14mm thick, per Woody Plants of the Southeastern US: A Winter Guide.